Hugo Lloris believes Tottenham forward Heung-min Son is enjoying the best form of his career and is now having 'big impact in the big games'. Son has carried the goalscoring burden for Mauricio Pochettino's side in the absence of the injured Harry Kane and has netted 13 goals in his last 16 appearances in all competitions, with strikes in each of his last four outings - all victories for Tottenham. 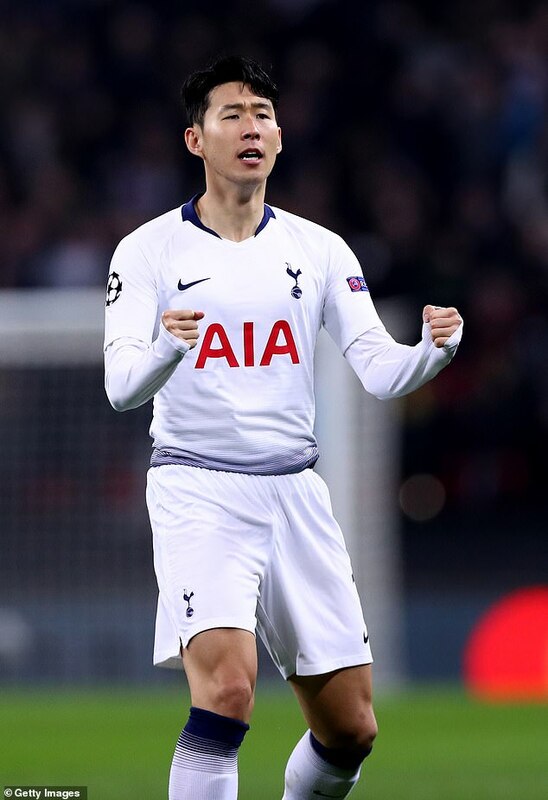 The South Korea international opened the scoring in Tottenham's 3-0 victory over Borussia Dortmund in the first leg of their Champions League knockout clash to help Spurs put one foot into the quarter-final. 'Sonny has been very consistent in the past few seasons and he is improving individually his stats and his big impact in the big games,' said Lloris. 'That's why the gaffer, the club and his team-mates have faith.